In the heart of the Ardennes, you can find our B&B in the charming village of Grandmenil. Facing the tank of Worldwar II, we have a magnificant view over the landscape. We rent four rooms, 25m2, each with their own bathroom, including douche, lavabo and toilet. The rooms are equiped with comfortable beds and seats. 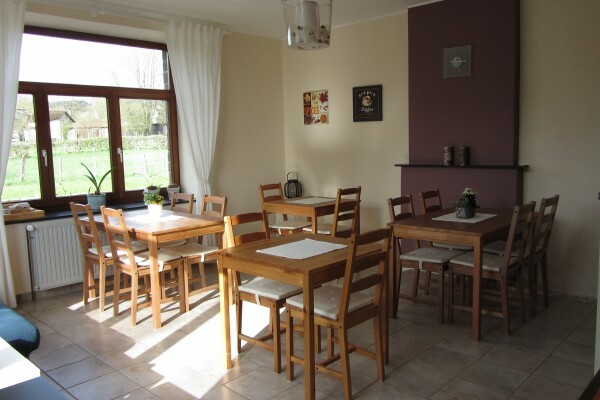 For breakfast we invite you in the diningroom, where you can also find books and games and lots of information about the Ardennes and its beauty. 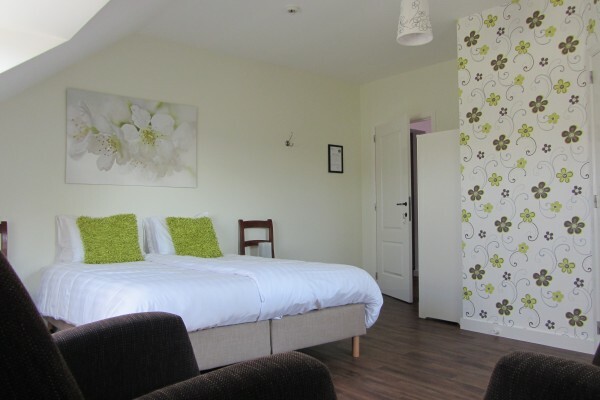 The four rooms at the first and second floor provide all the comfort you need, good beds and a comfortable twoseat. The bathroom contains a douche, a lavabo and a toilet. Extra for one night stay € 10,00 >>Only last minute in the weekend! 12 -17 years: € 25,00 p.p.p.n. We do not accept creditcards and Mastercards. We serve breakfast in the diningroom between 8H30 - 10H00 . At request, € 15,00 - € 25,00. Parking next to the house. Also possibilities to park motorbikes and bikes in the barn. We will be glad to help you with reservations for bikes, restaurant and other things. We don't allow pets in our B&B. Did you stay in La cour de Grandmenil? Let us know what you thought about it and help others to make the right choice! * I confirm having stayed in La cour de Grandmenil. 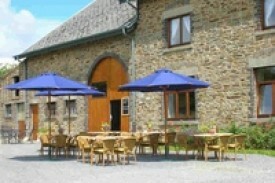 Find other bed & breakfasts in Luxembourg or all bed & breakfasts in Ardennes.